Dr. Mehta is an Optometrist in Creedmoor providing complete eye care services for the surrounding communities. Dr. Nisha P Mehta obtained her undergraduate degree at the University of Florida in Decision and Information Sciences. She completed her optometry degree at the Pennsylvania College of Optometry in 2006. She pursued a residency in ocular disease at the Baltimore VAMC and is also a fellow of the American Academy of Optometry. She has served as a clinical assistant professor at UNC Chapel Hill and she is currently completing her Masters in Business Administration degree at East Carolina University. Dr. Mehta has given multiple presentations on ocular diseases of the eye to colleagues, students and residents. 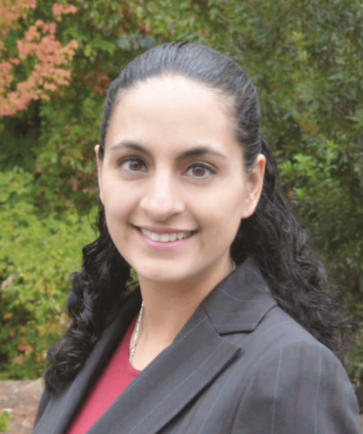 She also enjoys being involved in the community and is currently an executive director for Prevent Blindness North Carolina, a fellow of the American Academy of Optometry, and a member of the American Optometric Society. She has also travelled to Guatemala for missionary work and has provided eye care to hundreds of indigent patients. As a licensed optometrist, Dr. Mehta provides exams, diagnoses, and treatments of all disorders that affect the eye or vision. In addition to training in eye diseases and disorders, Dr. Mehta is also trained in anatomy, biochemistry, and physiology. With this background, Dr. Mehta is trained to recognize a range of health issues; such as cataracts, glaucoma, macular degeneration, diabetes and hypertension. Dr. Mehta works hard to stay current on the latest advances in eye health and vision care and regularly attends continuing education seminars and advanced training courses. It is because of Dr. Mehta's dedication to continuing education that our Creedmoor patients receive the most modern and progressive vision care available. A native of Florida, Dr. Mehta loves swimming, running. and traveling. She spends most of her spare time with her husband and two daughters.